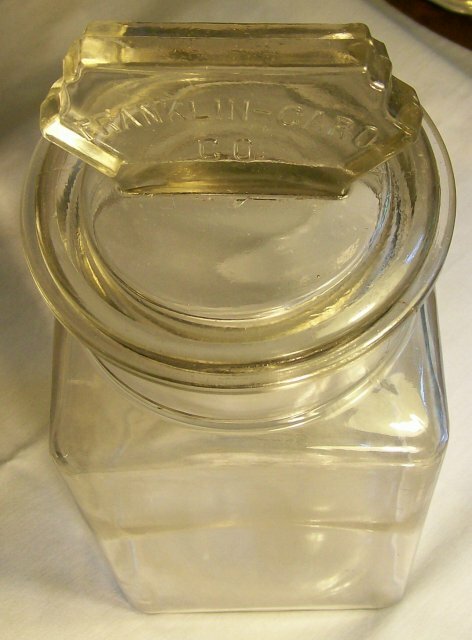 Molded glass store canister with lid, marked "Franklin Caro Co." on top flange of lid; made in Richmond, Virginia between 1915 & 1918 only. Came from Mitchell's store near Chatham, Virginia, which was in business from the late 1800's until the 1920's, according to my source. This canister held chewing gum. Measures 4.5" square x 11"h to top of knob. 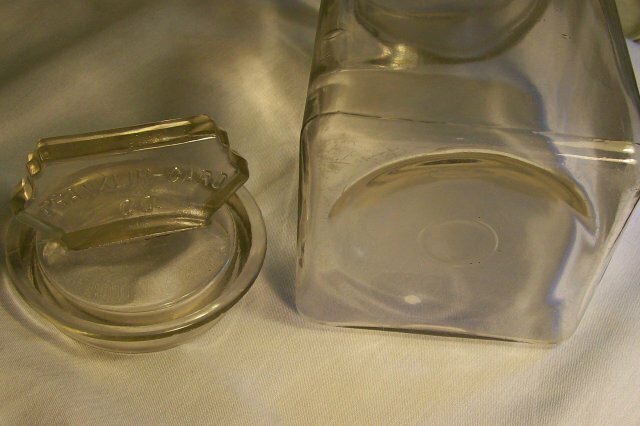 Clear glass with occasional bubbles and inclusions. No large chips or cracks. Wear scratches to bottom of jar as expected. 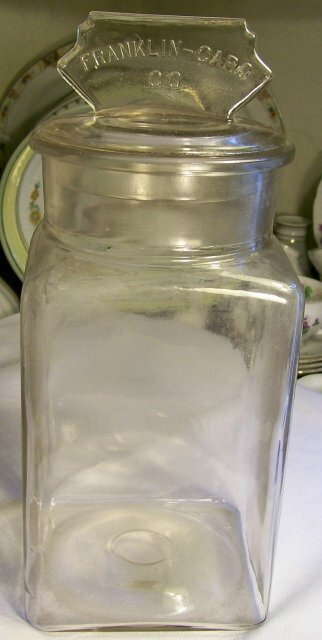 Great condition for such a scarce jar! Inglenook Antiques...Established 1989. 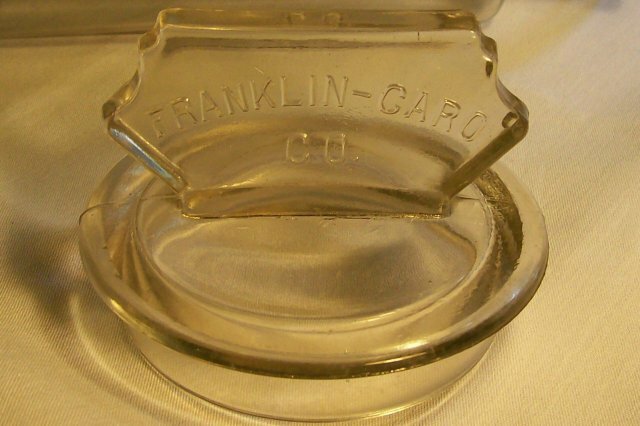 Items Similar To "Franklin Caro Glass Advertising Canister 11"H Richmond Virginia 1..."